Podcasting is a powerful platform for creating connections, sharing your message and reaching a wider audience. It’s tempting, when you have a brilliant idea for a new podcast, to want to throw yourself out into the podcasting field immediately. But launching a podcast is so much more than just hitting publish on one episode and hoping it will land in the ears of the right people. Think about how you would launch a paid product. Podcasting has the potential to draw in new clients and revenue, so doesn’t it make sense to treat your podcast in the same way? Let’s explore a few simple techniques for creating a rocking launch with maximum reach and maximum return. In my past life as a biz manager and IT consultant, I saw some pretty nasty launches take place. When this happens, the project doesn’t have the desired reach or impact. Perhaps this is because the end result is not up to standard. Perhaps it is because the energy of the project becomes warped by the tension of a hurried launch. Whatever the reason, stressed-out launches are never fun. I recommend allowing a 6-week lead up to your launch date. This gives plenty of time for visioning and goal-setting, building momentum and excitement with your audience, joyfully creating useful content that is going to be of great service, setting and holding a high-vibe energy for your podcast and launching pleasurably and smoothly for maximum reach and impact. Think of your landing page like a sales page for your podcast, showcasing exactly what it’s about and what your audience will get by tuning in. A photo of you (the host), your bio and why you created this podcast. In the lead up to launch day, direct your audience to this landing page. Invite them to sign up to your mailing list so you can notify them when your podcast goes live. This is a fantastic way to build your list and gauge the interest of your audience. Create excitement by drip-feeding teaser content on social media and in your newsletter leading up to launch date. You might share quotes or audio snippets from your interviews, sneak peeks of episode guests and the topics you’ll be discussing, or even your personal story of why you decided to create the podcast series. Don’t forget to include a call to action with a link to your podcast landing page. Bonus tip: Think about your listeners’ fears, problems and desires. Hone in on how your podcast addresses these needs and target the teaser content accordingly. Who do you know who could help you promote your podcast – friends, colleagues, other podcasters and bloggers? Reach out to your networks prior to launch and ask if they would be open to helping you. Beautiful, high quality, vibe-aligned artwork is going to draw in potential listeners. When navigating through podcast directories, like iTunes, it’s the artwork that captures your audience’s attention first. You’ll use this artwork to promote your podcast on social media, too so it needs to be eye-catching, click-attractive and shareable. Quote art – pull out a snappy, inspirational quote from your episode and lay it across beautifully designed artwork. Quotes are often shared by your tribe, generating further reach. Don’t forget to give this one to your guest, too. If you don’t have design experience, consider enlisting the help of a graphic designer. Beautiful artwork is a powerhouse for spreading your podcast message far and wide. Make sure you have at least three episodes published and ready for listening on the day of your launch. This will drive loads of traffic to your podcast, build huge excitement and encourage your listeners to hit the subscribe button in iTunes. Why do you want them to do this? So they don’t forget about you! Once they’ve subscribed, future podcast episodes will automatically download to their device. On launch day, announce your new podcast across all mediums – your blog, newsletter and social media. A few days later, post a social media shout out for the first episode. Wait a few more days, then follow up with a quote from this same episode. Continue to do this for all episodes, spacing posts a few days apart. The truth is that sometimes your audience won’t see your initial social media post or they’ll forget about it. We’re all busy. Serve your listeners in the best possible way and reach a wider audience by actively seeding your content in snippets throughout the launch week. Extra bonus points if you continue to do this for future episodes, too. Reviews are great for gaining an understanding of what your audience is loving and what they’re not liking so much. You’re also bound to receive some really beautiful reviews. Share these as testimonials in your newsletter, on your podcast landing page and across social media. Don’t be shy! This will create more excitement. In our world of instant gratification, as soon as we hit ‘publish’ we expect a flood of comments and emails to start rushing in (I am totally guilty of this). What I’ve noticed with podcasting is that there tends to be a three to four-day response delay. That is, there’s about a three to four-day gap from the moment you hit publish to the moment your audience starts responding. Remember that a podcast episode is not something your audience can quickly cast their eyes over. Often they will wait for the perfect time to listen in meaning that instantaneous responses are few and far between. Keep this in the back of your mind when you hit publish. Alana Helbig is a podcast mentor, author of the guidebook series Ignite: Podcasting for Changemakers, co-host of She Makes Magic, and host of Untangled – a hugely popular and captivating collection of unscripted, free-flowing and deep diving interviews exploring the lives of women who have consciously untangled themselves from the shackles of the current paradigms to live a life of truth. 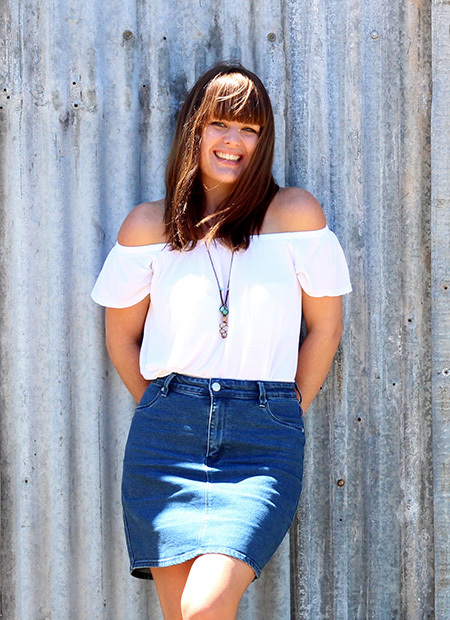 With over 15-years combined experience in business management, IT consulting, blogging and podcasting, Alana brings a wealth of knowledge and a unique ability to clarify and simplify the often confusing language of the online world. Using just the perfect blend of soul and strategy, Alana guides women into the heart and essence of their podcasting message, igniting powerful and purposeful conversation through the podcasting platform. Connect with Alana at alanahelbig.com and listen to her podcast Untangled here.